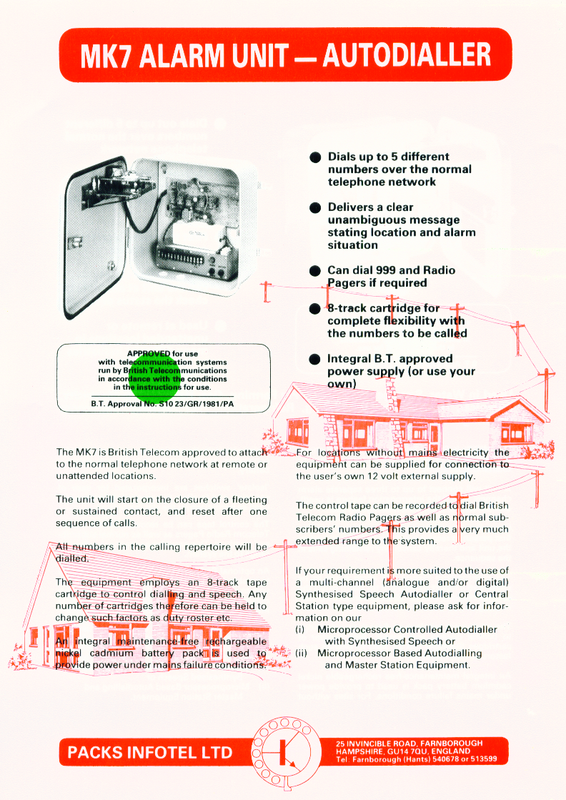 Below is some Literature on the MK7 Alarm Autodialler from the 1970's. 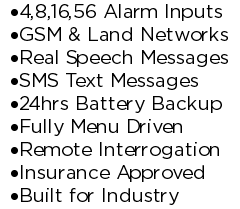 It came with an intergrated battery backup and could send its alarm messages to up to 5 different people. The interesting feature to notice is that it used an 8 track tape!! For more information on our current M30 check out its Standard and Optional Features or contact us for a quote.